Register for our evening classes in the months of June and July and receive a 50% off your Kit. This promotion expires Monday, July 30th. Start your new exciting career today in cosmetology at MAK Beauty Institute. At our premier facilities you will gain access to the most up-to-date hairstyles. 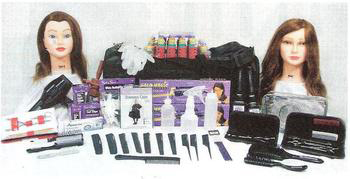 MAK Beauty Institute offers programs in Master Cosmetology, Instructor-Master Cosmetology, and Hair Design. MAK Beauty Institute’s student salon services provides quality hair styling at affordable prices. Walk-Ins Welcome! Appointments Appreciated. MAK’s Achievement rates are among the highest: Graduation 88% Licensure 100% Job Placement 96%. 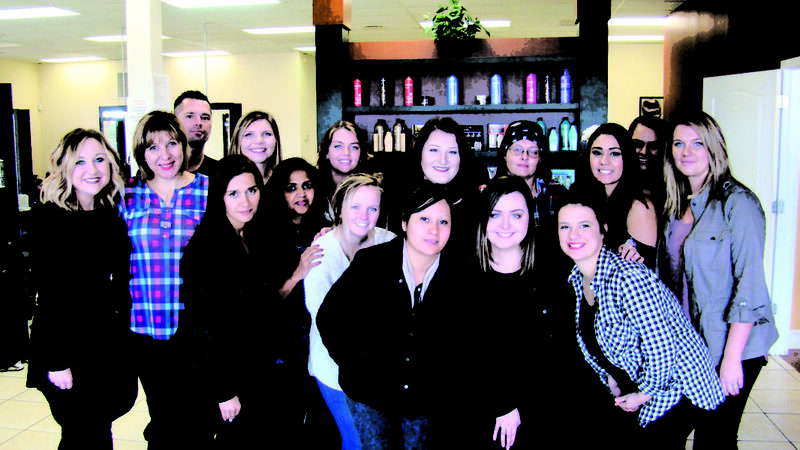 Our graduates are placed at local salons such as Joseph & Friends, Aria Salon and Collage. MAK has Google and Yelp reviews at 5 stars. Satisfied students and clients! MAK offers affordable tuition with payments to fit your budget. Payment plans are with in-house financing, which means no interest! MAK has small classes and lots of individual attention. Hands on training from the very first day of school. MAK operates as a full-service salon, busy school with lots of clients to gain experience and practice on the clinic floor. MAK offers flexible hours with full time or part-time schedules. Morning and evening class schedules are available. Newly enrolled students start each Monday. Full- time program takes as little as 11 months. Part time program takes 18 months. Transfer students from another school are welcome at MAK and we accept hours gained at previous schools. At MAK, we teach only the newest, most up-to-date, industry trends in color techniques, haircuts, extensions, keratin, ombre – balayage and more. MAK is a Redken school. We use Redken products and educational program. Reputable brand experience and reference for job placement. MAK provides thorough preparation for the state board exam. We prepare a practice run, both written and practical and we handle all the paperwork necessary to apply for State Board License. Last but not least, we offer a family atmosphere at MAK! With small classes and one on one attention with instructors we all come to respect, care and help each other! Our purpose is to provide you with the best post-secondary education that position you for a rewarding and exciting career as a salon professional.